Contact us today for information: Brian 087 6379589. DrivingInfo.ie, DrivingTestTips.ie, DrivingInstructorsIreland.ie, EssentialDriverTraining.ie (EDT.ie)..
JOIN us today.. NO Hidden cost, NO Hassle. Dedicated to your information which you can use on RSA.ie, Facebook, LinkedIn, Google etc. (This will save you money). Get listed today and be found on the number one network of driving instruction reated websites in Ireland. You don't just advertise with us; you become a part of the DrivingInfo Network of Websites. 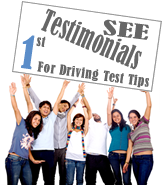 Call Brian Conlan for more information: 087 6379589.
www.DrivingTestTips.ie RSA award winning website 2010 is the leading online driving test reference website in Ireland which was created for Driving Instructors and their pupils. As you probably know there are many Books, DVD’s and websites with driving test information, but DrivingTestTips.ie is the first website which you, your pupils or potential pupils can use known that DrivingTestTips is an award winning website you know you can trust. We can help you grow your business and profile as a Qualified Driving Instructor as we grow our business and profile. We give you a website free when you advertise with us which means we start by saving you money, we understand your needs and are willing to help. We have added a Directory for ADI’s (Approved Driving Instructors) on the website and would like to have ADI’s from all over Ireland listed within this directory; we DrivingTestTips.ie and you the qualified driving instructor offer the complete package (revision information and tuition) to the user. If you would like information on our advertising please send your name and number to us via “contact us” or call Brian Conlan on 087 6379589 and we will be happy to help you. You must be ADI Qualified. ADI (Approved Driving Instructor) is the new qualification set down by the RSA (Road Safety Authority) for Driving Instructors in Ireland.